TORY RICHARDS: New Review In! Just gave Someone to Love Me 4.5 Ravens! Once again Tory Richards has provided an in depth story about love, loss, and uncontrollable passion in Someone to Love Me. I loved that you have two people who are suffering from serious heartache, but at the same time, they’re still learning to love again. Tory Richards shows us that everyone deserves a second chance and these two people so deserve it. Not only is Someone to Love Me aptly titled, but you see how Luke has lived so far in loneliness so it comes as a surprise when Charlie turns his life upside down. 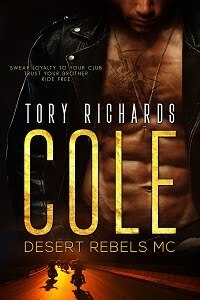 Tory Richards definitely has a hit with this one for it shows us readers that even in the lonely, remote wilderness, love can overcome anything. Great job.